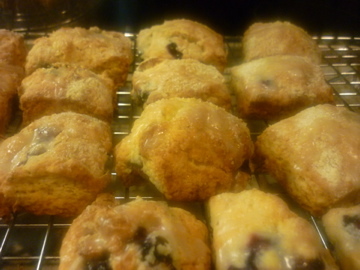 Remember when I reported in the last post that Orange-Cranberry scones were my fave? Well, a new favorite has risen to the top of the heap. 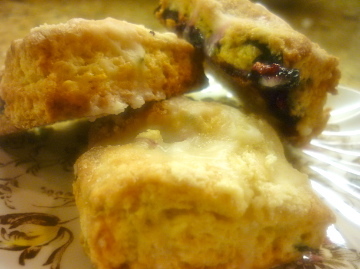 The Blueberry-Lemon Rosemary Scone with lemon glaze is to die for. I made them this afternoon, just before running out to the new farmers' market. They were still warm when Hannah left for her evening class. 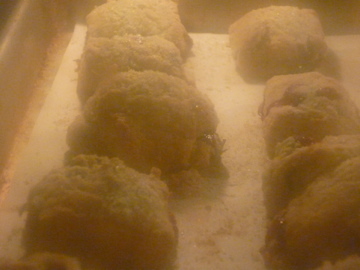 Taking a cup of iced coffee and a couple of warm scones, she made for the door... one happy chickadee. You have to try these. They are fresh and lemon-y. The rosemary prevents them from being too sweet and the tartness of the lemon glaze is, well... the icing on top!